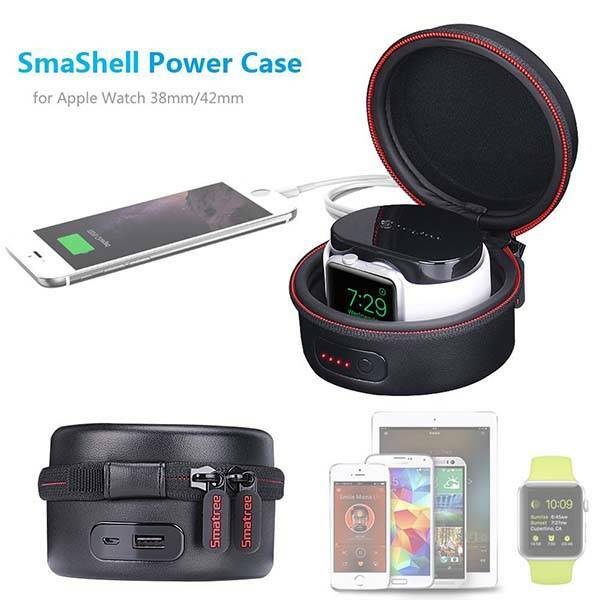 The SmaShell A100 rounded travel case delivers a decent storage to hold your previous Apple Watch for a trip, and built-in power bank has been ready to charge the smartwatch at any time. The SmaShell A100 is a budget-friendly and multi-functional travel case that works with both 38mm and 42mm Apple Watch models. 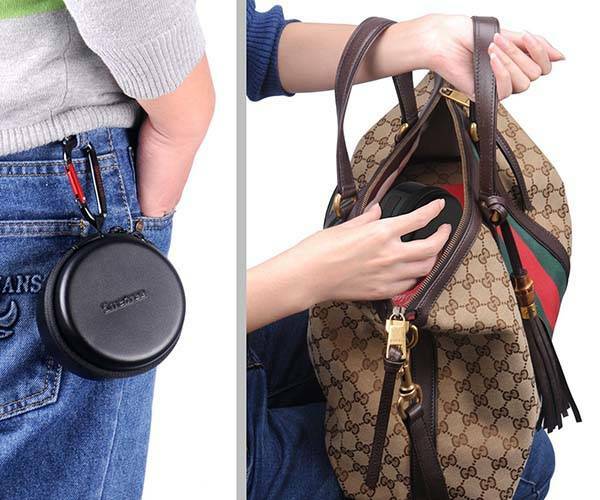 The Apple Watch case measures 6.1 x 5.1 x 2.5 inches, weights 12 ounces, and as we can see from the images, the travel case shows off a sleek and low-profile appearance, and its portable design and integrated carabiner loop allow you to easily store it in your bag or attach it on your backpack for a trip. The Apple Watch travel case is made from EVA+PU and ABS+PC for a durable construction to protect your smartwatch from bumps and scratches. Furthermore, the travel case also features a built-in 3,000mAh power bank. Using its custom designed adapter for Apple’s magnetic charger, the case has the ability to charge your Apple Watch when you’re on the move, and by a built-in USB port, it also charges your iPhone or other mobile devices. 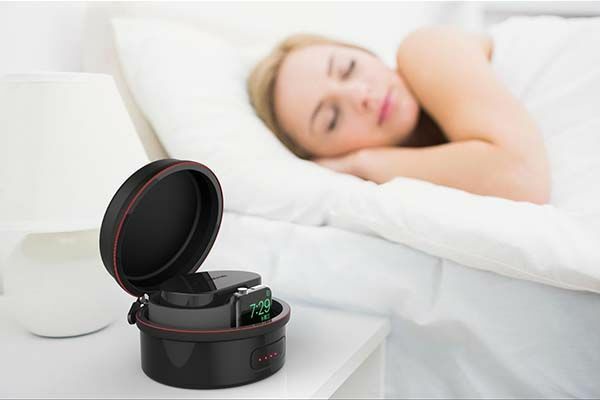 Moreover, you can also use it as an Apple Watch charging station on the desk or nightstand. The SmaShell A100 Apple Watch travel case is priced at $31.99 USD. If you’re interested, jump to Amazon for its more details. BTW, also don’t miss MOVE! ultra portable charging station and more related cool stuff by following tags.